22" x 56" x 10"
25" x 56" x 10"
30" x 58" x 15"
We are your source for energy efficient products and information. Energy Efficient Solutions now offers RB Fabric™, a radiant heat barrier made from a reflective cloth fabric. In fact, RB Fabric™ reflects over 90% of the radiant heat. 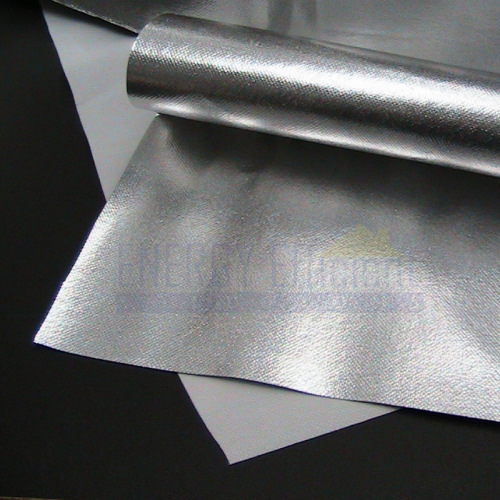 This reflective fabric material is commonly used in insulating clothing and reflective curtains. This thermal barrier fabric is flexible yet strong enough to hold up to stitching and sewing. Other common uses for this heat reflective fabric include: coats, blankets, comforters, draperies, pizza Bags, car and boat covers, and window dressings. RB Fabric™ radiant heat barrier material is made with a spun bond process to create a non-woven polypropelene fabric that is both light weight and flexible. Click the button below to request free samples. *Price Match Guarantee applies to verified, advertised prices and verified written quotes. Some exclusions apply. Call 877-464-5828 for more details.